Just when he seemed to be struggling to adapt to a more advanced attacking midfield role, N’Golo Kante got into space in front of goal to be set up by Eden Hazard and sweep the ball into the net. “Everyone wants to beat us,” City manager Pep Guardiola said. 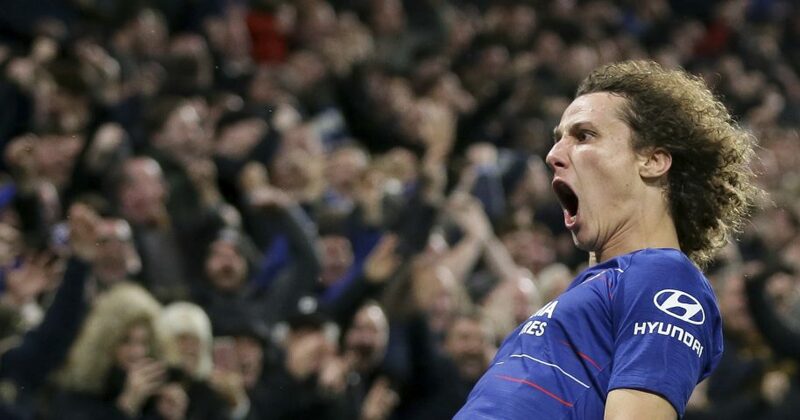 David Luiz made sure of that, heading in from Hazard’s corner in the 78th minute to seal Chelsea’s 2-0 win on Saturday. Not only did City lose for the first time in the league this season but it also lost top spot to Liverpool, which moved a point ahead after Mohamed Salah’s hat trick inspired a 4-0 victory at Bournemouth. Chelsea still has a lot of work to do to move back into contention. Having lost two of its last three league games before the visit of City, Maurizio Sarri’s fourth-placed side is eight points behind Liverpool. Tottenham remained two points ahead of Chelsea in third place but only six points from top spot after winning 2-0 at Leicester. The visit of last-placed Fulham allowed Manchester United to end a four-match winless run as Jose Mourinho’s side claimed a 4-1 victory. Ashley Young struck into the top corner to put United ahead in the 13th minute, Juan Mata slotted in from Marcus Rashford’s cutback in the 28th and Romelu Lukaku ended his 997-minute wait for a goal at Old Trafford in the 42nd. The title remains far from United’s thoughts, with Liverpool 16 points ahead. For the first time this season, Salah scored more than once in a league game. It’s a reminder of how the forward won the Golden Boot last season. Cook somehow back-heeled past his own goalkeeper, Asmir Begovic, when trying to clear Andy Robertson’s cross. A mazy dribble preceded Salah completing his hat trick in the 77th. But it was a familiar losing story for Mark Hughes’ successor. Hasenhuettl’s first game in charge was spoiled by Callum Paterson pouncing on a poor back pass to score in the 74th minute for Cardiff. Burnley registered its first win in nine league matches. Jack Cork hit a shot and the ball went in off James Tarkowski’s chest to give Burnley a 1-0 victory over Brighton.